The Division of Humanities has sustained its KATBARI Arts Festival in celebration of the National Arts Month of February for about a decade now. The event is held in conjunction with the nation-wide activities led by the National Commission for Culture and the Arts. 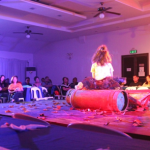 The KatbariArtsfest consists of a series of events that include lecture forums on the arts, art workshops, exhibits, poetry reading, poetry performance, concerts and theater productions. Its purpose is to showcase the creative works of student and faculty artists, enhance the discourse on the study of literature, visual and media arts, and the performing arts and enrich the community life with cultural and artistic events. Since the onslaught of Super Typhoon Yolandain November 2013, the Psychology cluster of DSS has been actively involved in the direct provision of psychosocial services to the people of Eastern Visayas as well as training various individuals and groups on how to become facilitators of psychological first aid (PFA). PFA trainings aim to capacitate lay people in terms of gaining the knowledge and skills necessary in facilitating PFA for survivors of disasters and emergencies. 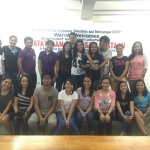 To date, the Psychology faculty of DSS have already trained hundreds of individuals from different organizations and agencies such as DepEd, Department of Health, local barangay government units, universities, and private companies, among others. 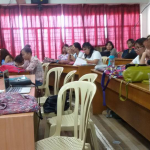 The Office of Continuing Education and Pahinungod (OCEP) conducted a Training Needs Assessment (TNA) among coastal barangays of Miagao, Tigbauan, Anilao, and Dumangas in Iloilo in coordination with the respective Municipal Agriculture Offices of the Local Government Units (LGUs). 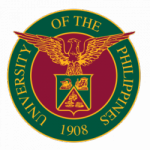 The project aimed to come up with an extensive list of the fisherfolks’ training needs so that the University – through its faculty, REPS, administrative personnel, and students – could appropriately respond to these.